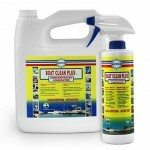 Do you have a product for cleaning inboard engines from oil, grease and rust? 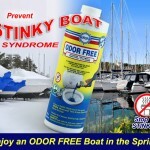 You can use Bilge Bath with a paint brush to remove the grease and oil and rinse with water. 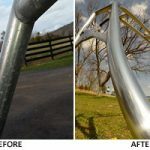 You will have to use bronze wool or sandpaper to remove heavy rust. 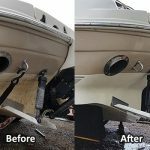 Boat Scrub with a rag will remove light surface rust. Rusted areas should be retouched with paint. 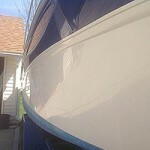 You can use Boat Clean Plus, cut with with water as a degreasing agent prior to painting, for good adhesion of the paint. I suggest you use a high temperature engine enamel made especially for this purpose. Other paints will not work very well. If you are going to repaint the entire engine, clean it first, touch up the rusted areas, mask off the things you don’t want to paint, including wires, the bilge and surrounding hull and transom areas and spray paint the engine. 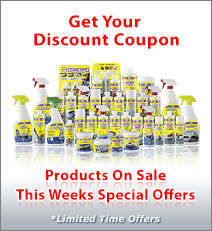 You can get high temperature engine enamel in a variey of colors at most hardware, marine or automotive stores. 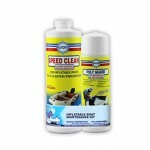 To maintain the finish of your engine, wipe it down periodically with an oil dampend rag. The oil will prevent rusting and make the engine easier to clean in the future. It is very important to keep your engine and engine compartment clean and painted with a light colored paint. In the event of an emergency on the water, possibly miles from any help, you will find it much easier to spot problems and fix them than if the engine is covered in grease, dirt and rust and if the engine compartment is dark and covered in oil and grease. I speak from experience. 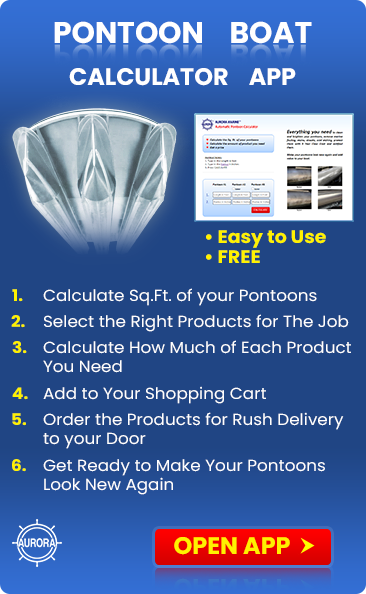 Keeping the bilge compartment charged with Bilge Bath will automatically take care of this cleaning chore for you.